JAMAICA, NEW YORK ---- Highlighted by a career high in points with 32 from redshirt Junior Guard JaQuan Jackson, the Women’s Red Storm were able to finish off their regular season in convincing fashion as they beat conference rival Seton Hall Pirates with a final score of 77-71. A nail-biter all the way through, four members of the Women’s Red Storm (Wellere, Walker, Kebbe, Lewis) found themselves in double-digits in this regular season finale. Senior and Brooklyn native Aliyah Lewis ended her career 3rd all-time on the St. John’s WBB assists list at 529 assists, only one behind Red Storm Hall of Famer Janet Roos. Lewis played unbelievably well throughout the entire matchup as she finished with a stat line of 13 points, 9 assists, and 4 rebounds on the afternoon. Fellow Senior forward Jade Walker finished off her home career as a Johnny with a beautiful performance as well, with 12 points off 5-8 shooting and went 3 for 5 on the free throw line for the final time in Carnesecca Arena. Freshman Alisha Kebbe was awarded with Big East Freshman of the Week honors as she finished tonight’s game with 17 points (5-9 from the floor) while tacking on 4 boards, as well. The Pirates were able to string together multiple runs of back to back three-pointers on the Johnnies and tried to catch head coach Joe Tartamella completely off guard. Junior Claire Lundberg of Seton Hall hit a monster shot from downtown to narrow the lead to 58-55 at the end of the third quarter. In the closing moments of the game, the Pirates narrowed the lead down to 73-71 with 45 seconds remaining. But, a foul call on Seton Hall sent Aliyah Lewis to the foul line to seal the deal. In a moment of good news for Seton Hall, guard JaQuan Jackson managed a career high in points by tallying 32 points with a full 40 minutes of playing time. However, the Pirates just couldn’t get it done as the Johnnies stand victorious in their final home game and 11th conference victory this season. St. John’s will be heading to Milwaukee, Wisconsin this weekend as the #5 seed for the 2017 Big East Women’s Tournament, and they will be taking on the #4 seed Villanova Wildcats on Sunday, March 5th, and can catch that game only on at our friends at Fox Sports 1 (FS1). Check local listings for more details. The National Museum of African American History and Culture Museum is Open for Educating! On September 24, 2016, thousands looked on as President Barack Obama commemorated the Grand Opening of The National Museum of African American History and Culture Museum in Washington, D.C. The celebration of the museum’s opening will take place over the course of three days, which will include musical and dance performances, spoken word, and two evening concerts. Passes to enter the museum are sold out for the opening weekend. What many people don’t know is that the museum has been in the works for over a century. It was first proposed in 1915 by black veterans of the Civil War. However, it wasn’t until 1986 that Congress approved the construction of the museum. In 2003, Congress passed the National Museum of African American History and Culture Act which made the museum part of the Smithsonian Institution. According to npr.org, more than $240 million was raised from donors such as Oprah's Charitable Foundation, Samuel L. Jackson and his family, the LeBron James Family Foundation, and many other organizations. The federal government also contributed $270 million. 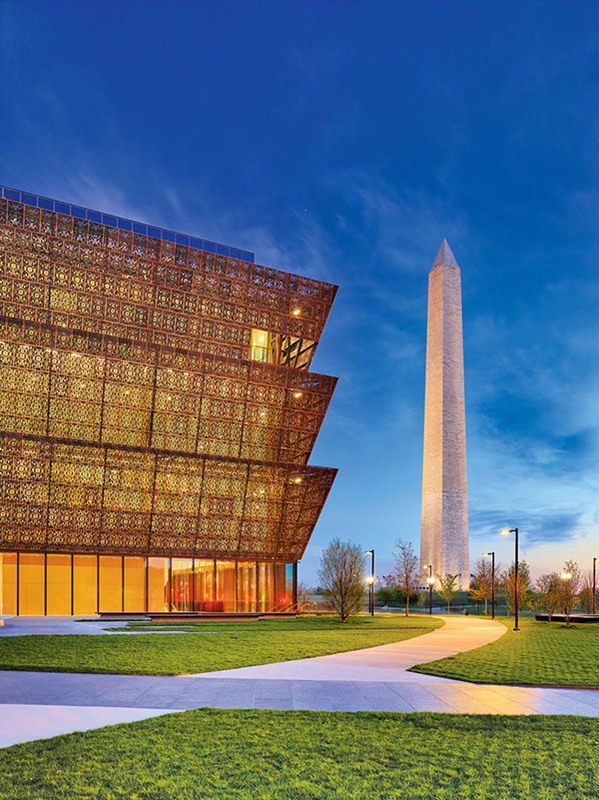 Today the 400,000 square-foot museum stands tall, overflowing with centuries worth of black history and culture. It begins on the bottom level with slavery. As you move up in the museum, you are taken through the civil rights movement, and then the highest level features exhibitions dedicated to African American culture and literature. Hundreds of people are traveling from all over the country to view these breath-taking artifacts, such as a dress Rosa Parks made in the 1950s and a picture of Nene Leakers depicting an African American “Gesture of Dismissal.” The creators of the museum did not come to play! The museum contains exhibits that depict how the African Americans have made it through a number of struggles. However, it is eminent that we acknowledge that the museum itself is an illustration of how far we have come as a people.